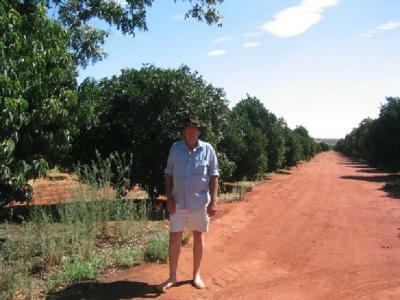 I am Terry and I am the farm manager for Tony Catanzareti's citrus farms. Water restriction caused me to reduce water usage by a considerable amount, having purchased Omni's water treatment systems the trees are not at all suffering from stress or dehydration. At Toveill Pty limited we have only used Omni's water technology for two months and the independent laboratory test results confirm much less acid in the Navel oranges where magnetic water is used. We are using the water treatment device on a 200 acre plot of our farm where the soils and the water is salty and getting a better reading on quality of Oranges.